In South Korea, many people are buzzing with anger over a sudden government decision to replace the decades-old civil service exam with open recruitment. The exam, through which about 70 percent of high-ranking government officials are selected, has been praised for giving equal opportunities to applicants regardless of their education and family background. Since the 2008 world economic crisis, with competition getting stiffer in the job market, more young people have chosen several years of grueling studies for the national exams as their next career path. After the announcement was made this week, South Korea's online space exploded, with the vast majority of enraged bloggers condemning the open recruitment system as a way of stalling the nation’s already flatlining social mobility. The South Korean government said it is scrapping the civil service exam and instead will hire people based on their credentials and an interview process, to promote greater diversity and flexibility in the public service. Up to one third of grade 5 public servants will be selected in this way. The grade 5 civil service position is the stepping stone to becoming a top government official. More than 200,000 young people apply for the test each year, and most are appalled by the news. The new recruitment system could mean their years of preparation for the exam go wasted. Reading between the lines, it seems the government’s new standard in recruits, requiring ‘special certificates, qualifications, degrees or relevant experience in a specialized field,’ may only benefit people who went to prestigious (and expensive) law schools, or a handful of top-tier university graduates in Seoul. At least, that is what the blogger Streaming 09 comments. The blogger concludes that the purpose of the new reform itself may sound plausible, but how it will be practiced in reality is another matter. 면접은 기존 기득권층에게 절대적으로 유리 하다…즉, 경제적으로 부유하고 사회적 지위까지 가지고 있는 사람들의 자녀가 부모들이 가지고 있던 모든 특권을 그대로, 게다가 합법적으로 세습할 수 있는 길이 사실상 열린 것이라 할 수 있다. Well, the purpose of the reform itself is good. It is good to specialize the public field by recruiting various experts. But I am worried that this well-intentioned system may turn bad in the current Korean situation. In the civil service exam, you earn the result based on how hard you studied. Your education clout or family background hardly plays a role in the result…. (However, in the new system) the paper screening process will only benefit those people who graduated from top universities and who have diplomas from foreign universities, and the interview process will undeniably favor students from privileged class… It is like a door to a new way has opened, a way for kids from the wealthy upper class to officially inherit all the privileges their parents enjoyed. 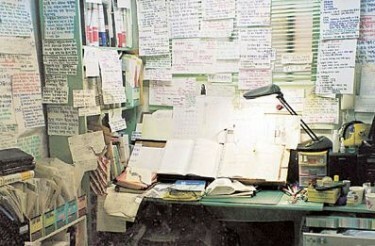 A lawyer’s desk when she was preparing for the bar exam, taken from an internet café. Flyers made by institutes posted near the Gosi-Chon, taken by blogger Garbeek. A minority supports the reformation of the old system. Blogger Marketing360 writes a long article titled ‘Three reasons why I support the abolition of the civil servant exam’. The blogger points out it will get rid of the excessive benefits of passing the exam, streamline the inflexible public service sector, and halt the drain of young talent into years of studies. 특정 분야에 있어서 한 두번의 필기시험으로 남은 인생을 개런티 받는 채용시스템의 한계를 보완할 수 있음. 물론, 남들 놀고 연예 하면서 자유롭게 대학 생활을 누릴 때 스스로의 자유를 제한하면서까지 고시 공부에 몇 년간 투자한 노력을 모르는 바 아니지만, 그렇게 해서 얻은 노력 치고는 너무나 큰 대가를 얻는다는데 형평성이 이슈가 있어왔던 것 또한 사실입니다. The new system can make up for the shortcomings of the current system. The current testing system guarantees a lifetime (of stability) by just passing one or two written tests. Of course I am aware that they (the test takers) are sacrificing several years of their freedom to prepare for the test, while others enjoy campus life carefree with playing and fooling around. But there has always been the issue of equality on too many benefits people are getting by that effort. The blogger adds that we have to consider a majority of test takers who fail the exams repeatedly. When they come back to the real world after exclusive, incompatible studies on the public sector, they are unemployable, since they have no real world experience. 젊고 유능한 인재들의 고시원 행을 통해서 발생하는 불필요한 사회적 비용을 감소시키는 데 기여할 수 있음…국민의 공복으로서 공무원을 하려고 하기 보다는 그저 한 번의 시험으로 그저 남 보다 빨리 앞서가기 위한 직행 티켓을 따기 위해 맹목적으로 매달리는 사람들이 문제인 것이죠. …그런데 사회구조적으로 보면 다양한 카테고리에서 다양한 직업 군으로 진출해서 각자의 능력을 발휘해야 할 젊고 유능한 인재들이 너무 한 분야에만 몰리고 있는 이런 현상은 상당 부분 불필요한 사회적 비용을 초래하게 됩니다. 그나마 합격한 사람은 다행이지만 몇 번의 고배를 지속적으로 마시고 나서 몇 년 이상이 흐르다 보면 상대적으로 사회에 적응하기 가 쉽지 않은 상태가 될 가능성이 높습니다. We can cut down the wasted human resources which are caused by young, talented people being stuck in Gosi-Wons… There are so many people irrationally clinging to this test just to get a nonstop ticket to success (over others)… From a social structural angle, these people should have gone into diverse fields and shone in their respective areas, but now they are all crowded at one spot. This is a huge social waste. It is lucky if they pass the exam, but after they fail several times and several years pass like that (without learning other skills) they will become unadoptable in society. The blogger Inyouwithyou comments on the inter-generational mobility Korean society is gradually losing. Social mobility was quite high in recent Korean history, due to huge social shifts caused by colonialism, the end of colonial rule, the Second World War and the Korean War. The blogger concludes that today social status is once more inherited. 일제시대에 조선시대의 신분 제도가 완전히 해체되고 왕족마저 사라지는 대변화가 일어났죠. 한국 전쟁과 분단으로 세상이 또 한번 흔들렸지. 그야말로 맨 바닥에서 자수성가하는 사람들이 생겨나는 기회의 세상이 된거죠. 그렇게 해방 후에서 70-80년대를 거치면서 상류층을 형성한 사람들의 자녀들은 상류층으로, 부자의 자녀가 부자가 되는 신분,계층, 부의 대물림 구조가 거의 고착화되어가고 있지. Under Japanese colonial rule, a huge shift was made and it dismantled the Chosun dynasty’s social hierarchy and even the royal family disappeared during that time. The social crust was once more shaken by the Korean War and the division of Korean peninsula. Suddenly a new era came where people emerged to success from ground zero. (Long) after the liberation of Korea, in the 1970s and 80s, gradually more kids from the upper class tended to stay in that higher class and rich kids came to inherit their families’ wealth. And this succession of status, class and wealth got more stabilized. Even though the new recruit system may revitalize the social service sector, which has been in a bureaucratic coma for decades, a majority of people cannot shake off their worries about the increasing gap between haves and have-nots. And they are terrified by the possible collapse of the bridge that gave them a chance to jump to the upper class. 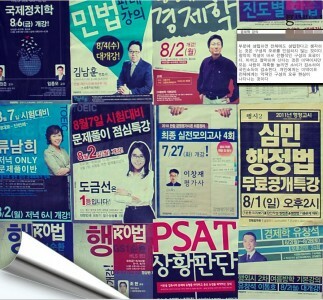 The blogger Kraze hopes the reform will not be used in forming a Korean version of a caste system. 우선 5급 공채에 지원하기 위해서는 민간 경력 전문가를 제외하곤 변호사 자격증과 같은 전문자격증을 소지한 자, 학위소지자로 제한하고 있기 때문에 경제적 여력이 없는 저소득층의 고위관직 진출은 사실상 어려워졌다고 볼 수 있습니다. 또 서류전형과 면접이 얼마나 공정하게 진행될 것인지도 의문입니다…어찌됐건 새로운 5급 공채 시스템이 한국형 카스트의 시발점이 되지 않길 기원합니다. Under the newly changed system of selecting civil servant grade 5, applicants are limited to people with some credentials in professional fields like a lawyer license, or high diplomas. It means that entry from lower income households is blocked per se. 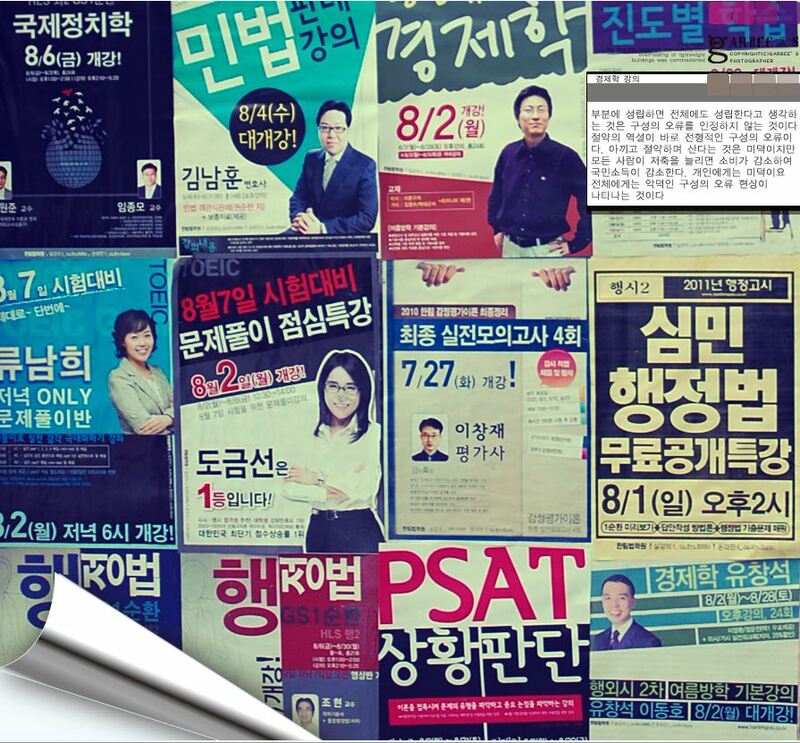 I am doubtful that the paper screening and interview process will be impartial… Anyway, I hope this new system will not become a starting point of a Korean version of the Caste system. The new recruiting system may be either the expiration of a fast ticket to success or a good kick to a public sector which is in limbo. It is always individuals who have to cope with uncertainties. Pingback: Global Voices teny Malagasy » Korea Atsimo: Nahatezitra ny olona ny nandraisana ny zanakavaviny (minisitra) hiasa.